I know there are a lot of coconut haters out there and I completely understand. It's the texture, right? I, too, have avoided a lot of shredded coconut in my life because of the same reason, but I'm obsessed with the smell and flavor of coconut. Doesn't make sense really. But toasted coconut? That is a whole new ball game. The flavor is completely enhanced and you get a crunchy bite instead of a chewy one. Oh man...toasted coconut is my new go-to snack and it's SO easy to toast at home. 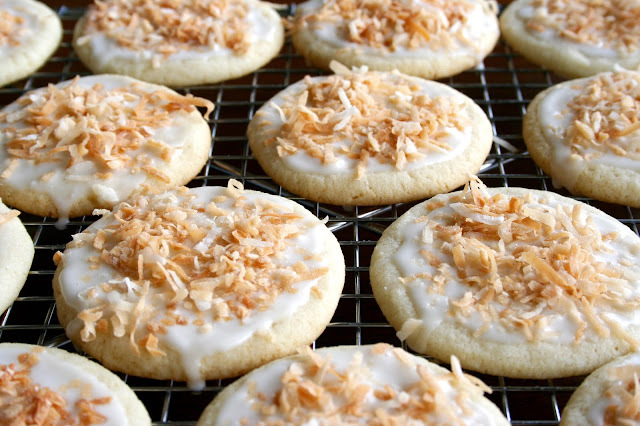 And toasted coconut sprinkled on top of a creamy coconut glaze spread on top of a coconut flavored cookie??? Seriously people, these were some of the best cookies I've ever had. If you are a coconut fan you will die over these and even if you're not you should at least try them with or without the toasted coconut. 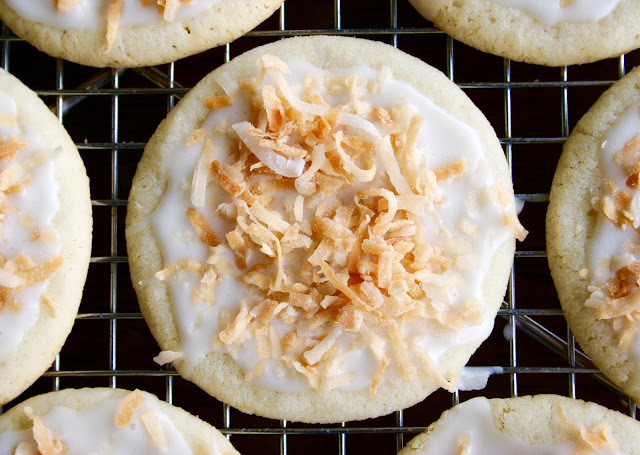 Because who doesn't love the flavor of coconut? And the bonus is you will have plenty of toasted coconut left over to mix into oatmeal, toss into some homemade granola or simply eat by the handful. For real. 1. 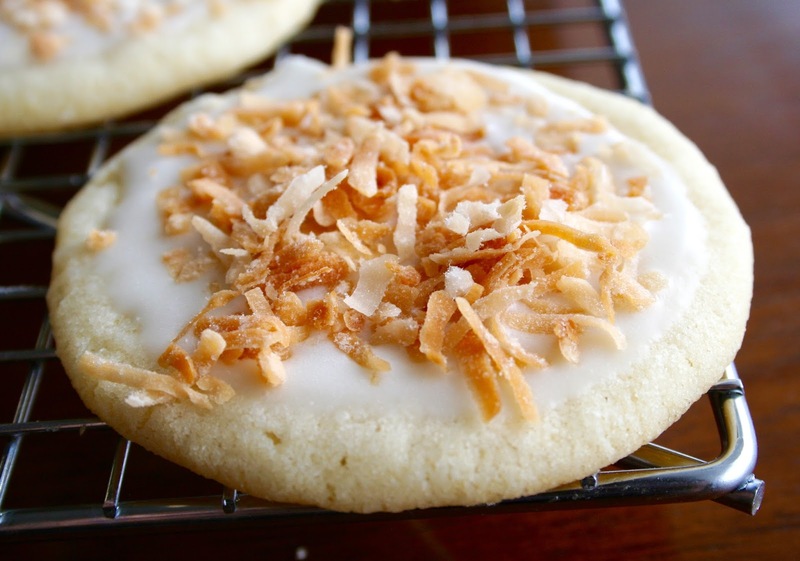 For toasted coconut: Heat the oven to 350°F. 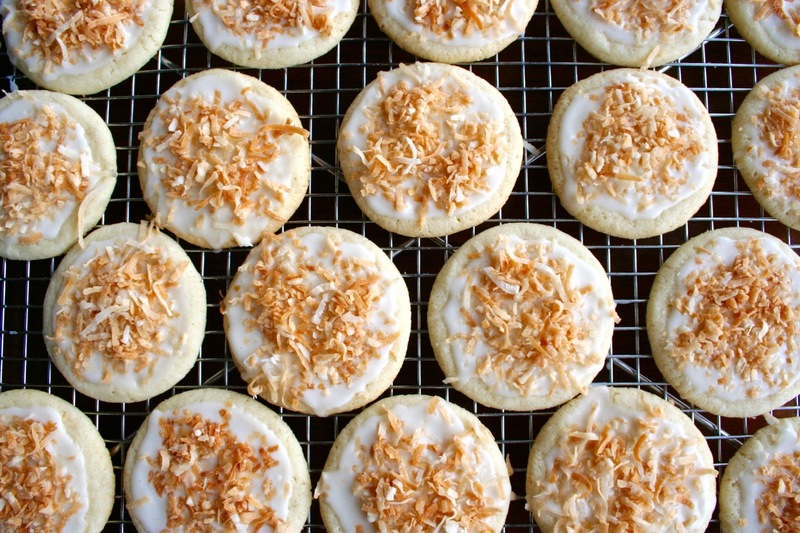 Spread coconut evenly on a cookie sheet. Bake for 5 to 7 minutes or until light golden brown, stirring occasionally. Watch closely to avoid over-browning. Set aside. 2. In a large bowl, cream butter and sugar together. Add egg and beat in well. Add coconut extract. 3. Add salt, baking powder and flour and mix until well incorporated. 4. Roll cookies into 1 1/2-inch balls and place on greased cookie sheet. Space cookie dough balls about 2 inches apart from each other. 5. Bake for 10-12 minutes or until lightly golden on the edges of cookies. Remove from pan and let cool completely on cooling rack. 6. Combine glaze ingredients in a medium bowl and whisk until smooth glaze is formed. 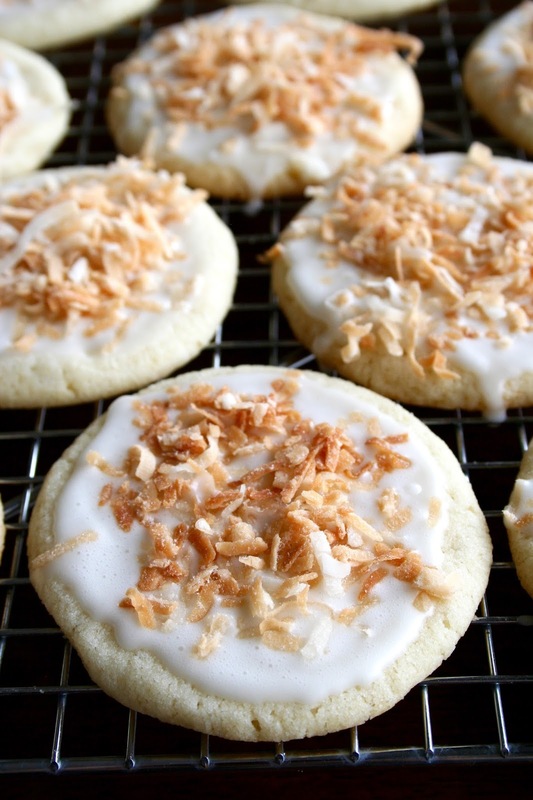 Spread as much as desired onto cookies using a spoon and sprinkle with toasted coconut.